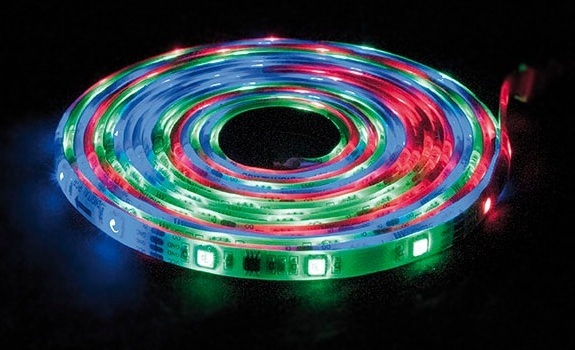 Create impressive and versatile backlight with this plug and play flexible LED strip. Capable of producing 164 built in patterns and flows. All patterns and effects can be controlled by the IR remote controller (included). The set is ready to use and comes complete with remote control and power supply. The Digital Flex Strip has self adhesive 3M tape on the back for easy mounting and also is supplied with 10 plastic clips and screws.